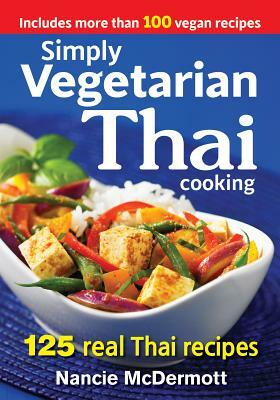 Here are genuine Thai recipes for every meal and occasion: Appetizers and Snacks, Salads, Soups, Curries, Main Dishes, Rice and Noodles, Sweets and Drinks, Basic Recipes for Curry Pastes, Sauces and Stocks. A glossary introduces and demystifies the ingredients and equipment used in Thai cooking. McDermott also offers tips for finding ingredients and lists substitutions that might be needed. Nancie McDermott is an expert on the food and culture of Thailand. She has written several cookbooks and contributes recipes and features on food and travel to national magazines and newspapers. She lives in Chapel Hill, North Carolina.